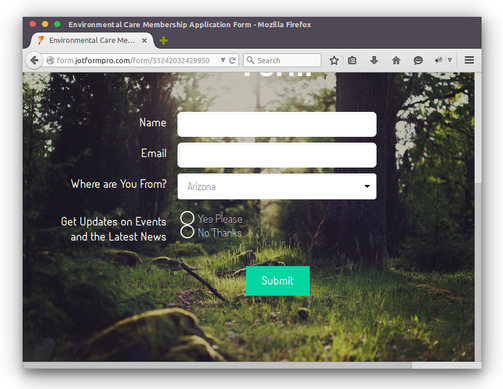 The greatest thing about widgets is the convenience it brings both you and the form user. 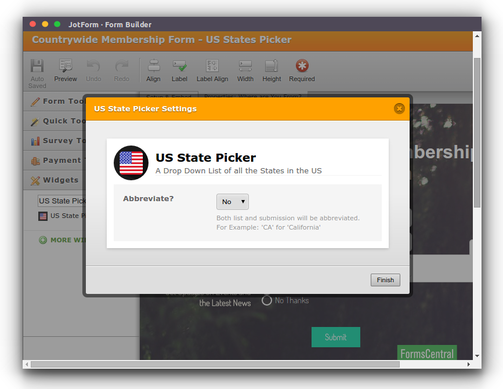 The US State Picker is a comprehensive list of all the States in the US, which allows your form users to quickly pick out their location. When your users click on it, a scroll-able list drops down, and neatly folds back when the desired option is selected. 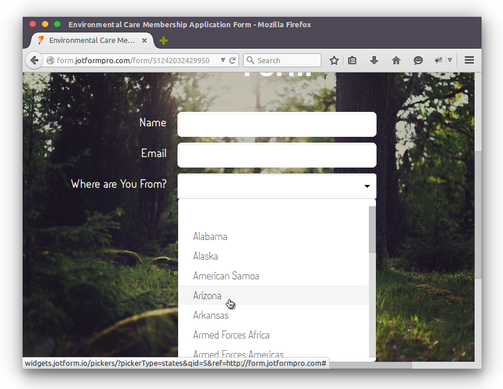 The widget allows you to present abbreviations or full State names.